This Celine Trapeze bag is in very high demand and is sold out. It's edgy yet very roomy with three tone color, which makes it even harder to find. 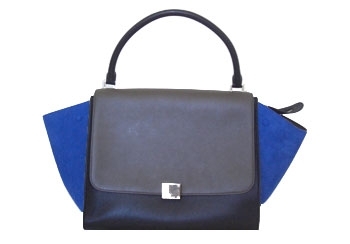 The side of the bag is made from deep blue cobalt suede with leather two tone color combination on the flap and handle.